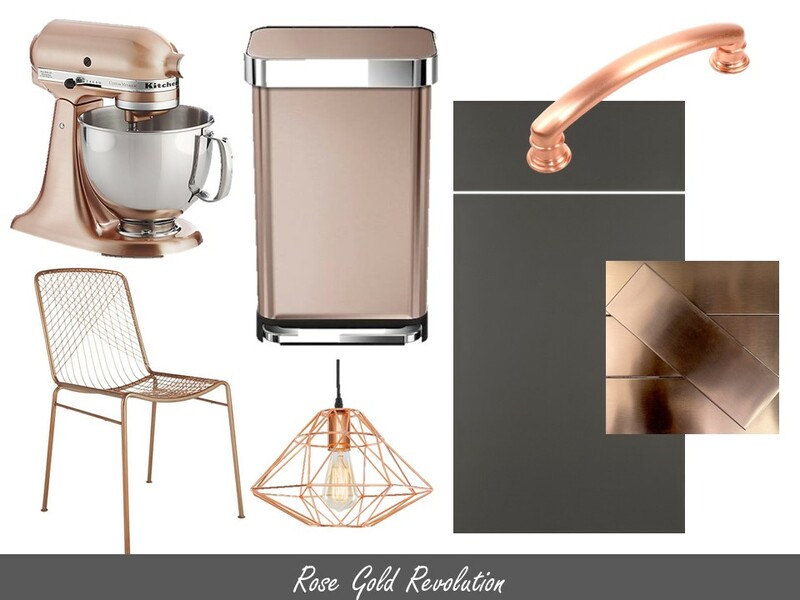 Love it or hate it, rose gold and copper are trendy again! From iPhones to your grandma’s antique watch, we are now seeing this blush metal in light fixtures, hardware, backsplashes, furniture, and even appliances. It is not as timeless as chrome but not as blingy as gold. It’s the ideal middle ground option between the two metals. We see white and grey finishes still reigning in the cabinet industry, and rose gold is the perfect touch of warmth to take an almost antiseptic space to something stylish and vogue. It can read more feminine in some settings (ahem, millennium pink, anyone? ), but it can add the right glow to any masculine or neutral space. We see more men rocking pink in the fashion world more than ever, with pink polos or salmon shorts, so why not make a place for it in the kitchen as well as the closet? The greatest part about rose gold pieces in your home? They are easy to switch out once the trend dies down, whether that is a year or a decade from now. Below is an inspiration board which features our own Paxton door style in Cascade (dark grey) High Gloss Thermofoil— it takes a contemporary design from cold to radiant. 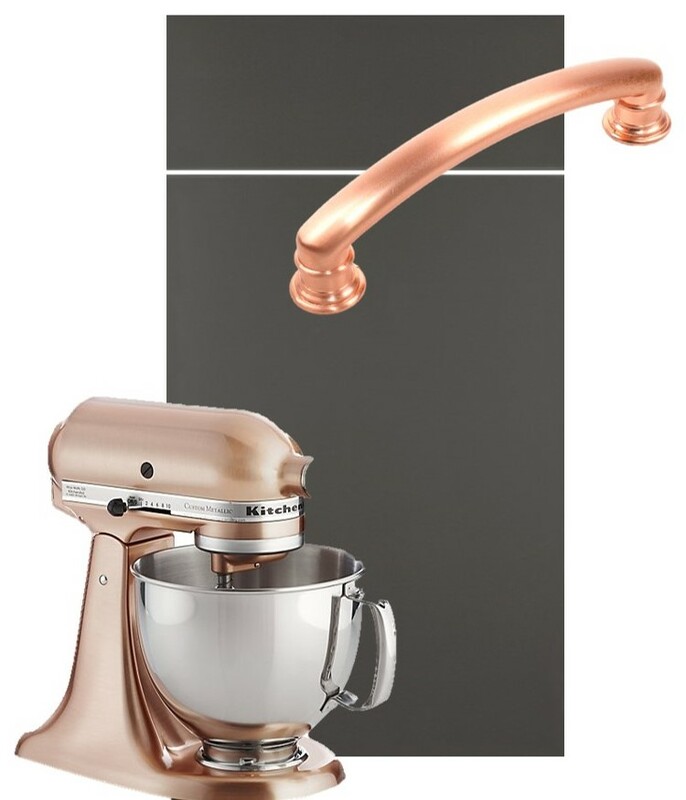 Shown here: (clockwise) KitchenAid, Copper Metallic Series Stand Mixer; SimpleHuman, Rectangular Step Can, in Rose Gold; Century Hardware, Belvidere Satin Rose Gold Pull; TileBar, Copper Stainless Steel 2×6 Metal Subway Tile; Siteline Cabinetry, Paxton door style, High Gloss Thermofoil, in Cascade; Houzz, Wellington Pendant Lamp; and CB2, Beta Rose Chair.